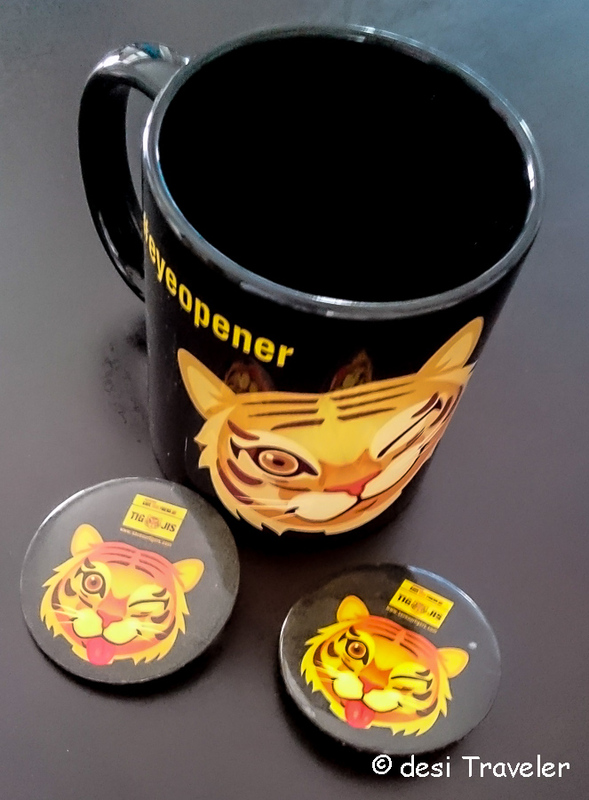 29th July is World Tiger Day and we have a little bit to celebrate. 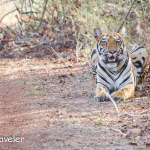 If the media reports are to be believed the tiger numbers in India are 2226, up from 1411 in 2006. This is a healthy increase considering the threats to long tern success of Panthera Tigris or Royal Bengal Tiger remain intact and are only increasing. Last evening I attended an event by Aircel one of the major players in mobile telephone sector in India. If you watch you must have seen some heartwarming ads in past where a tiger cub appeals to save him and his mother. Those ads were part of the CSR initiative of Aircel. So I was happy to attend this event organized by Aircel to create awareness about saving tigers and also showcase some of the work Aircel does with organizations like Sanctuary Asia Magazine and various NGOs and schools in India. The good part about the initiative is that #AircelSaveOurTigers initiatives are ground level in the field initiative and not just in corporate boardroom. Aircel CSR Team works closely with Forest officials e.g. in Bandipur National Park, Dudhwa and jointly work in creating awareness about need to protect tigers in local communities. As if the local communities accept tiger and other wild life as their allies no outsider can come and poach on our National Animal. 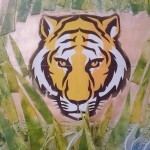 Aircel also works with hundreds of schools and sensitizes them about tiger conservation. But let me come back to the event here that was superbly hosted by this specialty Chinese Restaurant Yauatcha in Ambience Mall in Vasant Kunj, Delhi. While Aircel team highlighted their contributions to tiger conservation the event also marked the launch of Tigojis app for both Android and iOS users. 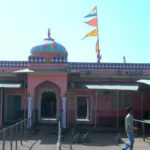 The app is an attempt to involve citizens in the initiative. The beauty of the free app from Aircel is that you can download various tiger stickers and use them on their Facebook profile, twitter and even share them further with friends and family and use them as mood messages etc. Basically once you have the stickers they are yours to play with. You can share them on Instagram like I did, tweet them use them on your Facebook etc. All of us love this majestic beast and would like to contribute to #SaveOurTigers but not all of them can go and patrol National Parks, or work in NGOs that are contributing to tiger conservation or even go to schools and sensitize kids because we all have other priorities also. 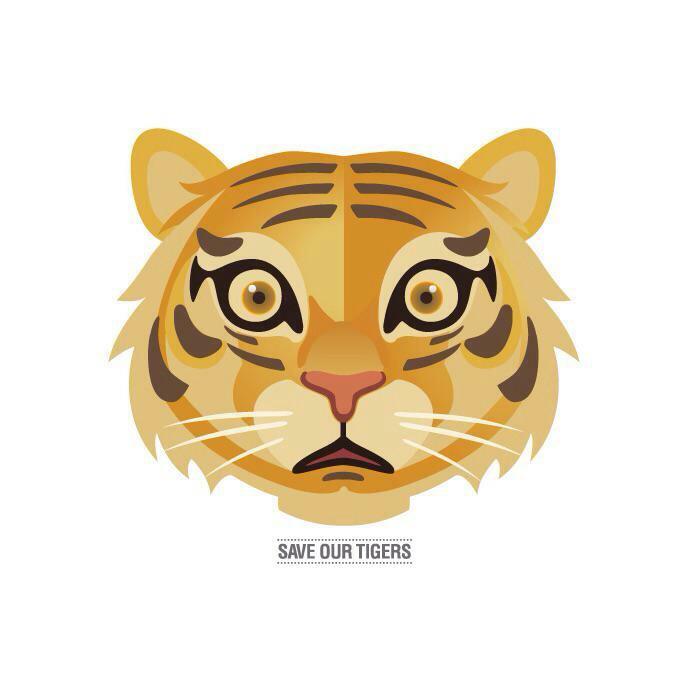 But we still want to go ahead and save tigers. So my dear reader here is your golden chance to contribute to Tiger Conservation while having some fun. This is where I want to congratulate the CSR team of Aircel for coming with this wonderful idea. FOR Every Tigoji App download Aircel with Pledge Rs one for Tiger conservation. Yes Rs,1 , now you may wonder what is so great about Rs 1, but wait let us say your family has 5 smart phones that is 5 Rs from your family. Include your cousins and it is 20 Rs. Include your Chuddy Buddies and it is 50, ask all your College mates and we are talking Rs 500, ask Friends of Friends on Facebook to share and download and we are talking about 5000 Rs, and if they also do it we have about 500000 Rs, and this goes on. So don’t wait start the free download and with each download Aircel is pledging Rs 1 that will soon hopeful reach a big fat round number with lots and lots of Zero, a number we desis are so proud to have invented. But don’t just download the stickers, share them with friends, family, chuddy buddies, in-laws, outlaws etc. 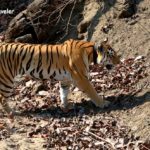 and encourage them to download and share further and soon a tiger cub will be roaring with pride in one of the remote tiger reserves of India. But before I close this post let me give you some more information about the #AircelSaveOurTigers event I attended. 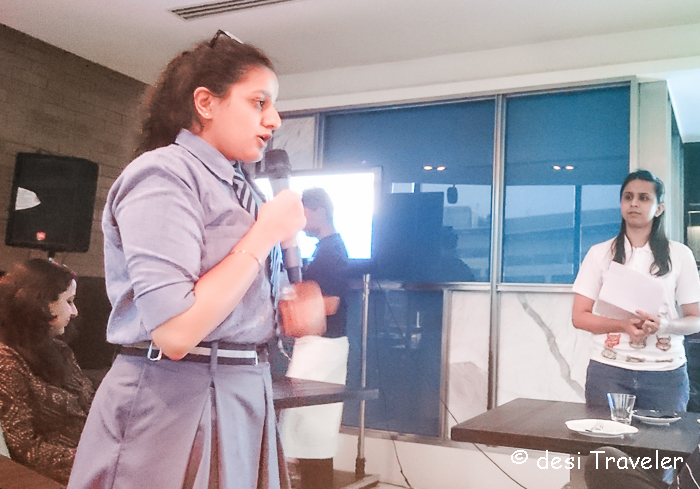 Besides learning about the initiatives from Aircel, I was most impressed by these smart kids from Modern School, who are involved in the #SaveOurTigers initiatives and spoke about why they joined the project and what they have learned about the importance of saving our tigers. So I got this wonderful backpack as gift from Aircel. 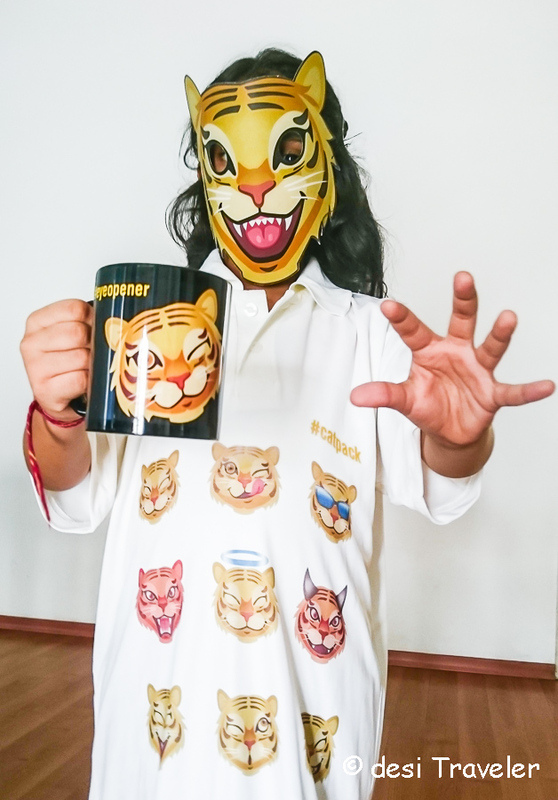 But that was not all when we were leaving Aircel also handed over some tiger themed goodies to the participants and my kids love them. As you can see we are a tiger loving family. Which Tigoji is your favorite ? 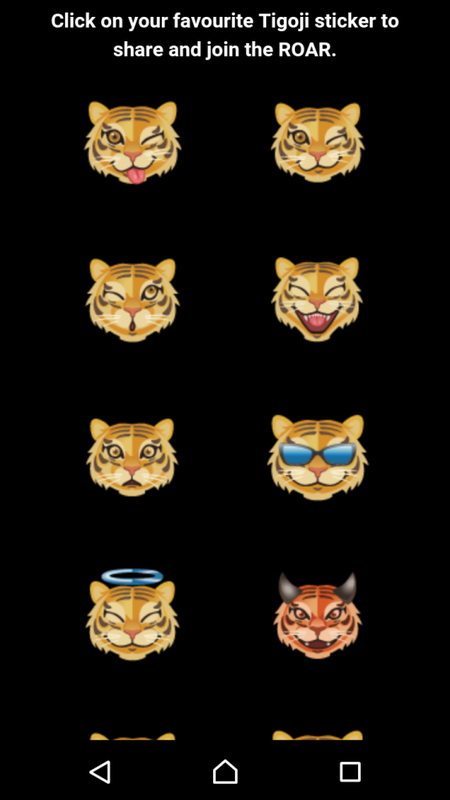 Here is a screen shot of the app with various tiger faces that you can download and share with your friends and family. So dear reader, this World Tiger day, go ahead and do something for the Tiger by just downloading a simple app on your phone that will give you many fun tigoji stickers that you can use for your profile, sharing, mood messages etc. all this for free while Aircel contributes Rs.1 tiger conservation for every download of Tigoji App. You can also join this community on Picbadges specially for the purpose of sharing Tigoji on your Facebook profile. Great to know about the event and the App. A rather detailed report of the event… a trait for which you are anyway known. Loved reading this post and I do hope it encourages people to adopt TigoJi. 🙂 let us hope it brings the desired results..
Tiger population has increased, showing that conservation efforts are paying off.